Marketing decision makers know that their effectiveness depends on their ability to manage their portfolio of products, keeping it fresh and compelling. In certain industries, rigorous testing is part of a legal requirement before a product can be brought to market, but the key measure of a products success is obviously that of sales. A social laboratory is now available to a business that more accurately reflects their target audience than an expensively designed focus group could hope to do. 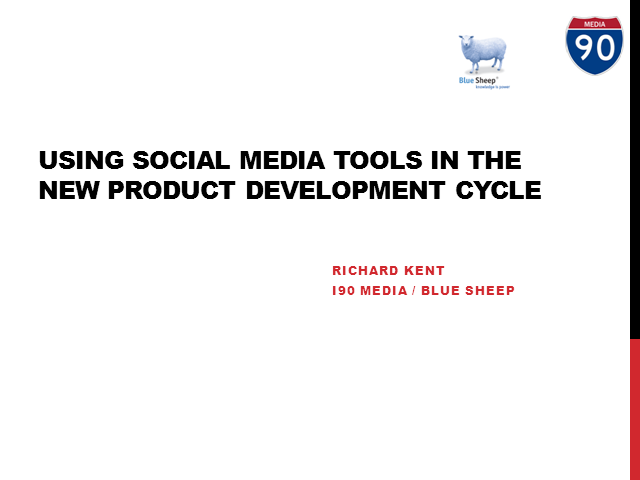 This webcast will show you how social media can now be brought into the NPD process to significantly reduce the cycle and reduce costs. · Seek approval from key influencers prior to launch.